Born and raised in the South Bronx, James Goff is a shining star to look out for. James started his career when, through the advice of friend, he decided to give it a try. 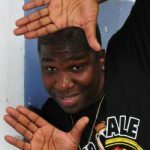 In just a couple of years in the business, James Goff had already made the transition from “up and coming” to comedian by opening for comedian greats such as Tommy Davidson, DL Hugley, and “TourGasm” stars Robert Kelly, Gary Gulman, & Jay Davis. 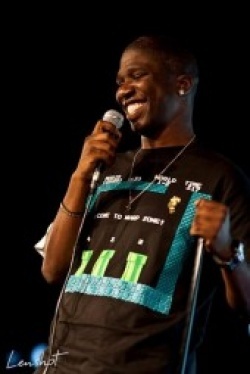 He was also a Boston regional finalist for Comedy Central’s “Open Mic Fight”. 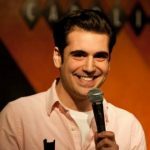 With all these credits to his resume, he still has time to perform in top comedy clubs all over the New England and Tristate area. When asked to describe his brand of comedy, James Goff just simply states, “truth meets therapy.” James’s material alone reminds you of the greats before him. With his trademark glowing smile and his insight on the world around him, you see why audiences love him. Its safe to say that James Goff is one of the bright faces in the future of comedy.